Pamplin Media Group - James Floyd Light Jr.
West Linn resident James Floyd Light Jr. died December 29 at his home. Services will be held Jan. 4. 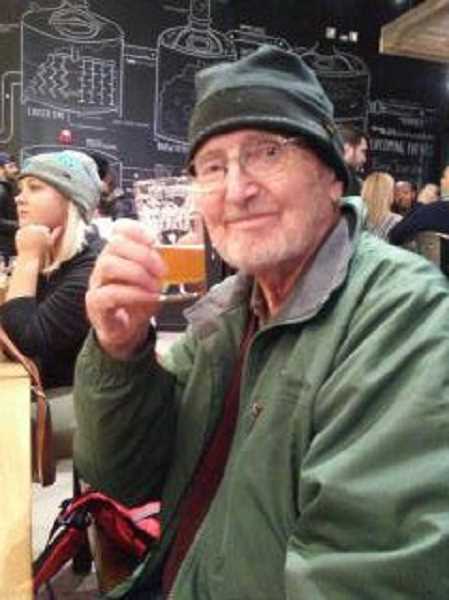 James "Jim Light" Floyd Light Jr. died unexpectedly the morning of Dec. 29 at his home in West Linn. He was 85. Jim was born in Albany, and grew up during the Depression living all over Oregon. His parents worked as educators frequently moving the family as his father became a school administrator and ultimately a superintendent. Jim attended the University of Oregon first as an undergrad, then after his service as an Army Officer, he returned to the U of O for Law School. He practiced law for the First National Bank which later became First Interstate Bank, then Wells Fargo. He and his first wife Judy settled in northeast Portland where they raised Tammy and Scott. After Judy's death he met and married Kathryn Hibbard and moved to West Linn. He was fond of saying that he was lucky enough to "love two women in my life and they loved me back." He had many travels and adventures after retirement and he never stopped being a diehard Oregon Duck fan, and proud Phi-Delt brother. Jim was preceded in death by his spouses, Judy Light and Kathryn Hibbard; and is survived by his children, Tammy and Scott; and grandchildren Mackenzie, Kevin, Madeleine and Judy; and his brother Robert. There will be a memorial service at 1 p.m., at Emmanuel Presbyterian Church in West Linn, and a reception at 2:30 p.m., at the Rivershore Hotel in Oregon City Friday Jan. 4, 2019. In lieu of flowers the family requests that donations be made to Emmanuel Presbyterian Church, 19200 Willamette Drive, West Linn, OR 97068.